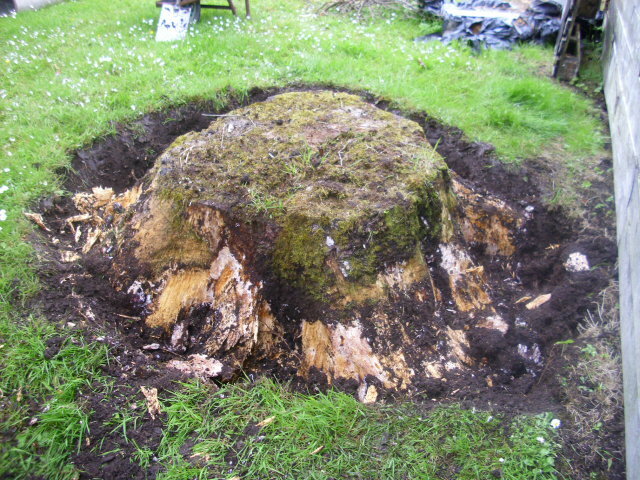 Arigna Natural Gardens » Tree stump removal. « Ganesh, remover of obstacles! It has been a Year since I last built a shed, so I thought it was time for a new one. It will be a storage shed for fuel, and somewhere to shelter the trailer. It is going to be joined to the chalet I built a good few Years ago. 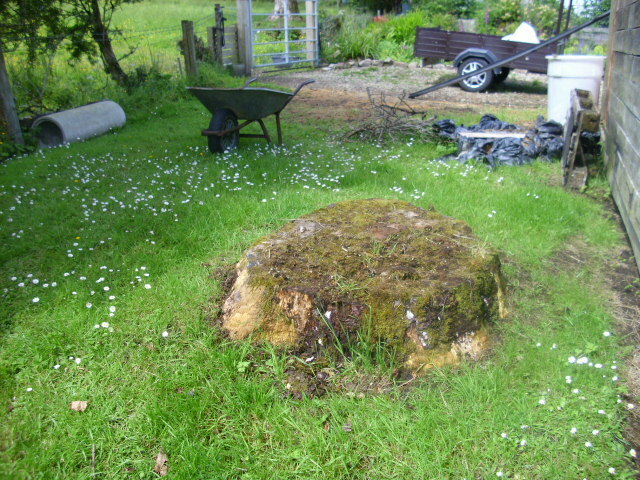 The tree stump that has to go is from a spruce tree that was here when we bought the house 9 Years ago. 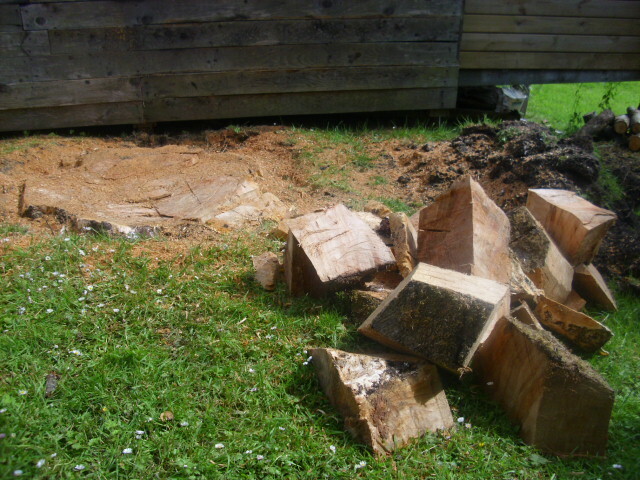 The tree was actually chopped down and planked to clad the outside walls of the chalet. Krishna is my co pilot! 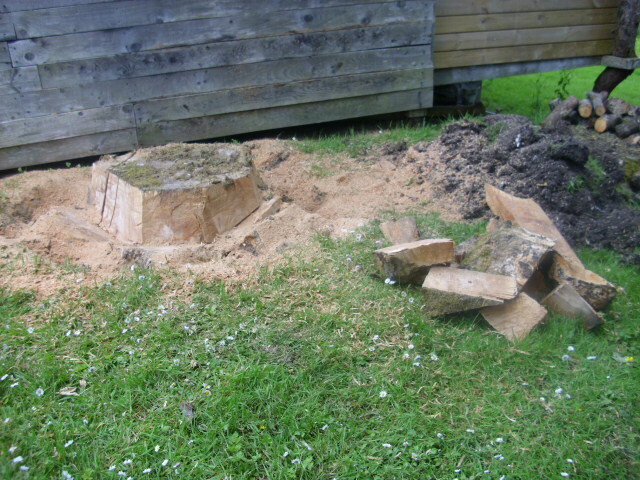 I am not going to remove the stump exactly. I just want it below the existing ground level. 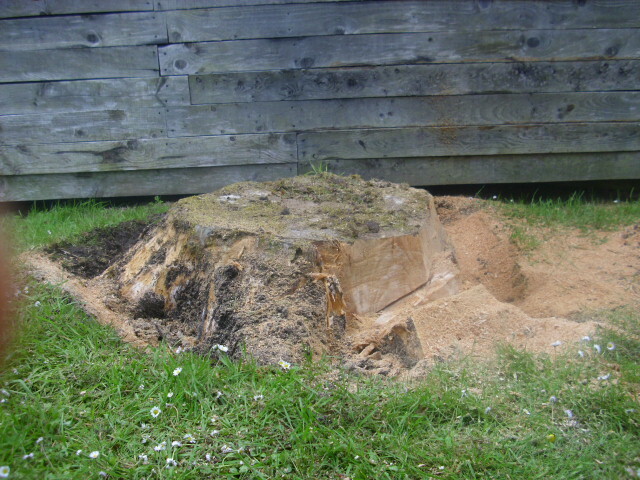 There is a bit of a hump around the stump, which I can get rid of by putting the soil on top of the lowered stump. 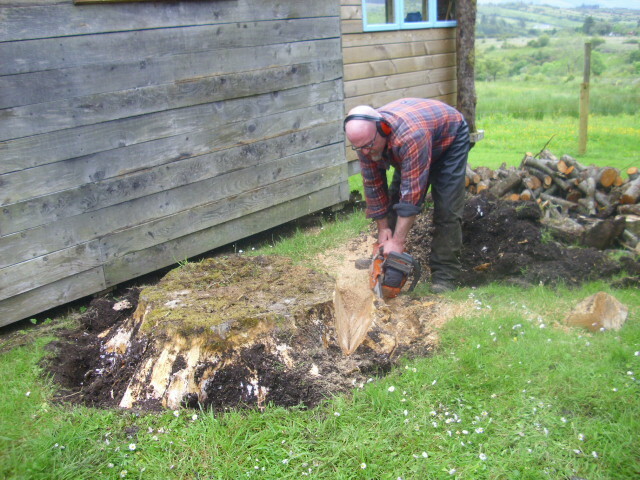 I would’nt recommend using a chainsaw as I am in the above photo!. Stump lowered!. Just a bit of tidying up to do. The sawdust I gathered up, and it will be used in the compost toilet that I will be putting in the shed. Final bit of landscaping! 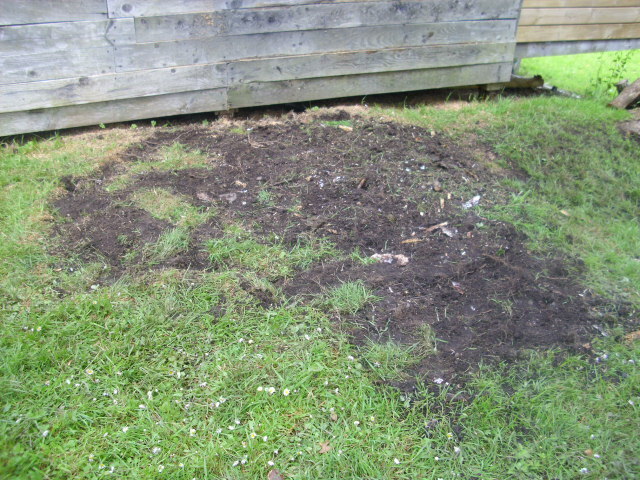 STUMP GONE! 1 comment to Tree stump removal. This could be one of the most beneficial blogs we have ever come across on thesubject.